This study addresses the recognition problem of the HEp-2 cell using indirect immunofluorescent (IIF) image analysis, which can facilitate the diagnosis of many autoimmune diseases by finding antibodies in the patient serum. 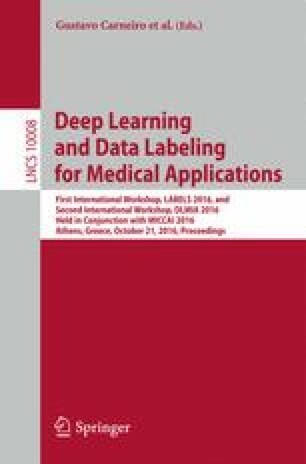 Recently, a lot of automatic HEp-2 cell classification strategies including both shallow and deep methods have been developed, wherein the deep Convolutional Neural Networks (CNNs) have been proven to achieve impressive performance. However, the deep CNNs in general requires a fixed size of image as the input. In order to conquer the limitation of the fixed size problem, a spatial pyramid pooling (SPP) strategy has been proposed in general object recognition and detection. The SPP-net usually exploit max pooling strategies for aggregating all activated status of a specific neuron in a predefined spatial region by only taking the maximum activation, which achieved superior performance compared with mean pooling strategy in the traditional state-of-the-art coding methods such as sparse coding, linear locality-constrained coding and so on. However, the max pooling strategy in SPP-net only retains the strongest activated pattern, and would completely ignore the frequency: an important signature for identifying different types of images, of the activated patterns. Therefore, this study explores a generalized spatial pooling strategy, called K-support spatial pooling, in deep CNNs by integrating not only the maximum activated magnitude but also the response magnitude of the relatively activated patterns of a specific neuron together. This proposed K-support spatial pooling strategy in deep CNNs combines the popularly applied mean and max pooling methods, and then avoid awfully emphasizing of the maximum activation but preferring a group of activations in a supported region. The deep CNNs with the proposed K-support spatial pooling is applied for HEp-2 cell classification, and achieve promising performance compared with the state-of-the-art approaches. This paper is based on results obtained from a project commissioned by the New Energy and Industrial Technology Development Organization (NEDO), and was supported by the Grant-in Aid for Scientific Research from the Japanese Ministry for Education, Scientific Culture and Sports under the Grant No. 15H01130, No. 15K00253, No. 26330212 and No. 25280044, open foundation project from state key laboratory of vehicle NVH and safety (NVHSKL-201414).